The girls are stopping traffic – Write with us! When you’re on East Station Street going west, sitting in a line of traffic at the stop sign waiting to turn on Route 59, you might have just enough time to look in the window of the shop. Earlier this afternoon I noticed a gentleman doing just that. I was on hold on a phone call and happened to glance outside and see a man waiting in traffic and simply staring at the window. I tried to wave at him, but he was catatonic. I can completely understand why, because the window display is all doll-ed up for Valentine’s Day. 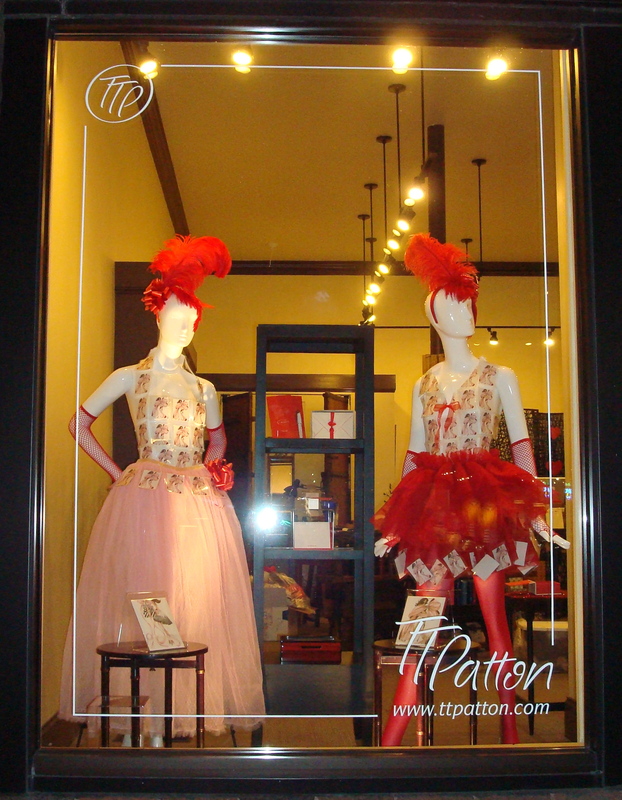 The mannequins have shed their Christmas attire for red and pink skirts with tops made of cards designed by Aaron Potts NYC. 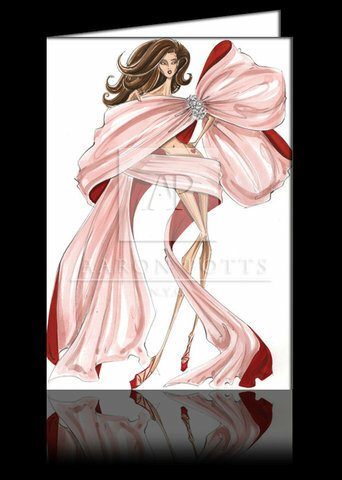 The cards are of a woman dressed only in a pink ribbon tied around her shoulders and hips and titled “The Gift of Love.” They cards are made of linen paper with felt envelopes and priced at $5.95 each. When I finally got this guy’s attention he waved and smiled and put up one finger signaling he’d be back. I can’t wait!